ENTHRONED is surely a name black metal fans are no strangers to. 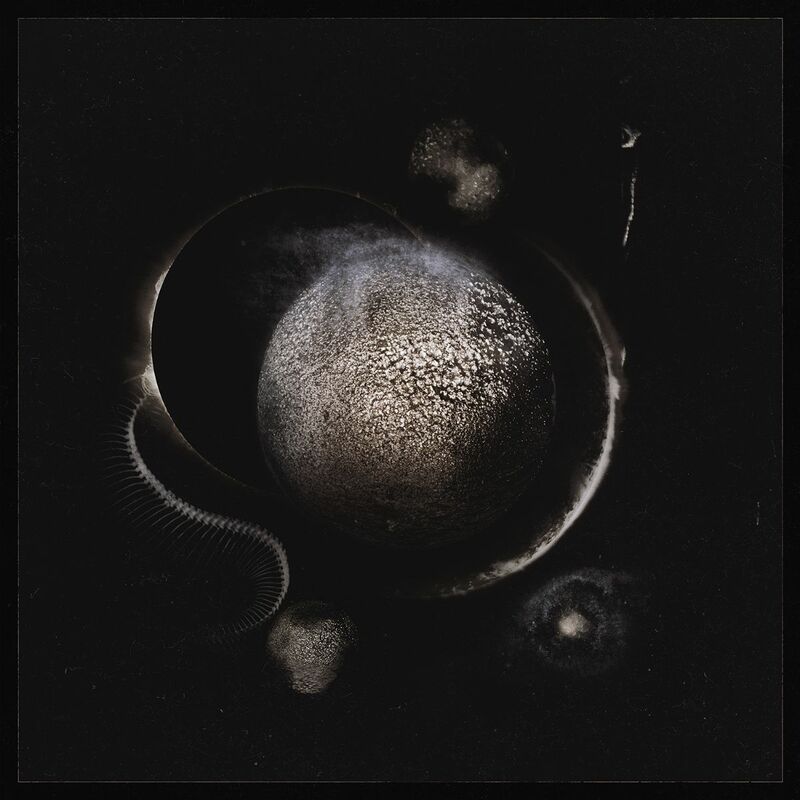 Over the course of the last 25 years, they have pushed the boundaries of black metal and the deepness of the Left Hand Path philosophy further within. The quintet has channelled that dedication into their newest record. ‘Cold Black Suns’ is a dark and crushing black metal album where cold riffing, blood chilling atmospheres, and ritualistic drumming are keys to forging their most mature and accomplished opus to date. The band, who crawled out of the black lands of Belgium in 1993, inked their first contract less than a year after its formation, and recorded debut album ‘Prophecies of Pagan Fire,’ which is now considered an all-time classic in the genre. 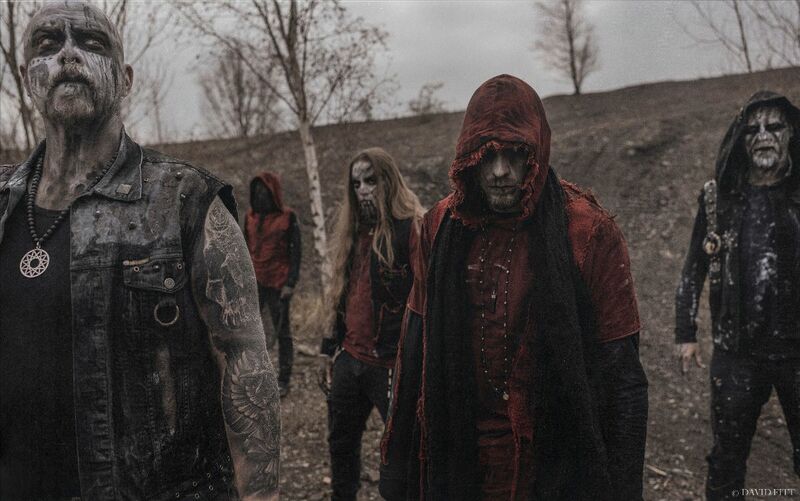 By then known as The Blackened Horde to fans and the scene at large, ENTHRONED recruited guitarist Nornagest and within 2 years entered Hautregard Studios to give birth to their second album. After the recording, tragedy struck and founding member and drummer Cernunnos (1997) took his own life. The band went on to record the album using Cernunnos’s drum tracks from rehearsal recordings which were recorded by long time friend Da Cardoen, from the Belgian band ASPHYXIA. ‘Towards the Skullthrone of Satan’ was thus born. Since then, ENTHRONED went on to tour the world and have released a total of 10 full-lengths, one live album, and a hearty handful of splits and EPs.Now, as the band celebrates 26 years as one of black metal’s premier outfits, they are ready to unleash number 11 onto the masses. 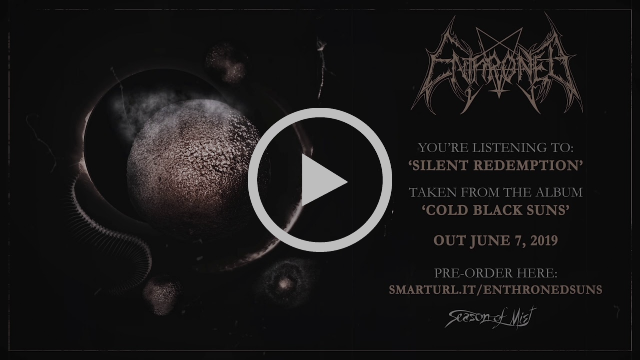 ‘Cold Black Suns’ is an icy, brutal offering from the band that will see a worldwide release on June 7, 2019 via Season of Mist, making it their debut to the label. This is the band’s first album in five years, following up 2014’s critically acclaimed ‘Sovereigns.’ ‘Cold Black Suns’ is one of 2019’s most anticipated releases and is certain to hold up to the hype that surrounds it, delivering an evolved and crushing offering from Belgium’s own black metal legends.